3,000 Palestinian jobs will be created by factory in Karni industrial area. Israel hopes new factory will spur economic growth. Construction of a Coca Cola factory in Gaza is set to begin this week after being green-lighted by Israel's defense establishment. A major advantage of the new factory is that it will create jobs for thousands of Palestinians - first for construction builders, and then some 3,000 factory workers. The factory is to be built in the Karni industrial area. The construction period will take six months. While the Karni border crossing is closed, the industrial area there remains active. It contains an abundance of storage spaces used by international organizations as well as cooling structures under the use of Palestinian merchants. Even after the factory is operational, the Karni border crossing will remain closed for security reasons. Any transfer of goods will be done through the Strip's only open border crossing with Israel - Kerem Shalom. To set the construction of the factory in motion, a Palestinian entrepreneur had to submit a request to the Coordinator of Government Activities in the Territories (COGAT). Defense Minister Moshe Ya'alon then accepted COGAT head Major General Yoav Mordechai's recommendation to move forward with the plans. Israel's defense establishment hopes this factory, like other factories in the works, will jumpstart Gaza's economy, reduce terrorism and lead to a forward acceleration of Gaza's rehabilitation. It will also bring one of the world's most popular products closer to consumers. 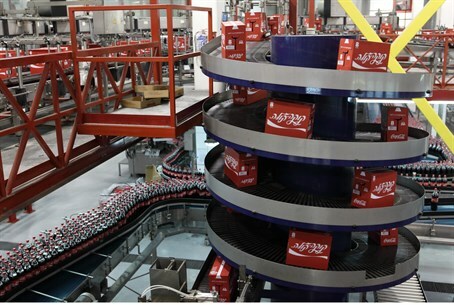 Gaza residents currently receive Coca Cola products from a factory in Ramallah. However, there are often shortages due to the frequency of the closure of border crossings. The Kerem Shalom crossing was closed Saturday after a rocket fired from Gaza hit the Eshkol region of southern Israel on Friday. It is set to re-open Wednesday.